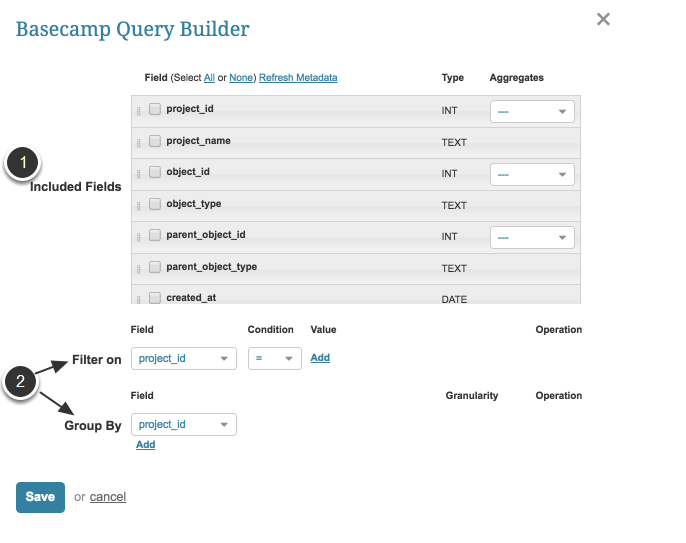 This article describes how to create an Element using Basecamp as a data source. 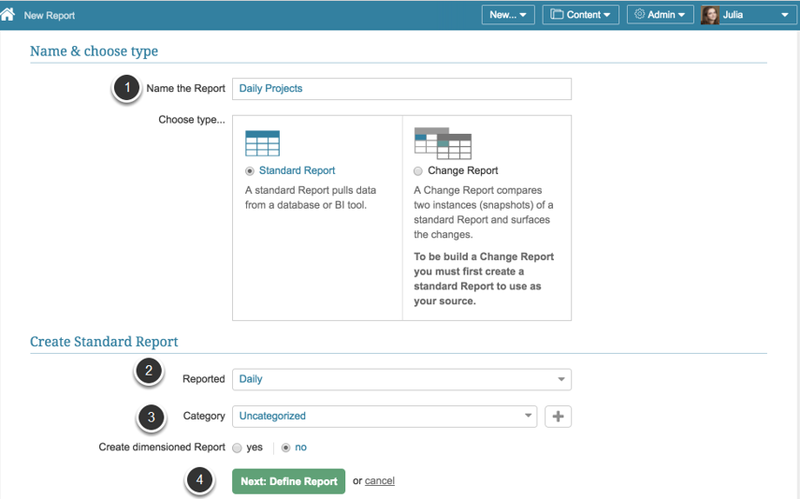 It assumes that you have already established connectivity to your Basecamp 2 account. 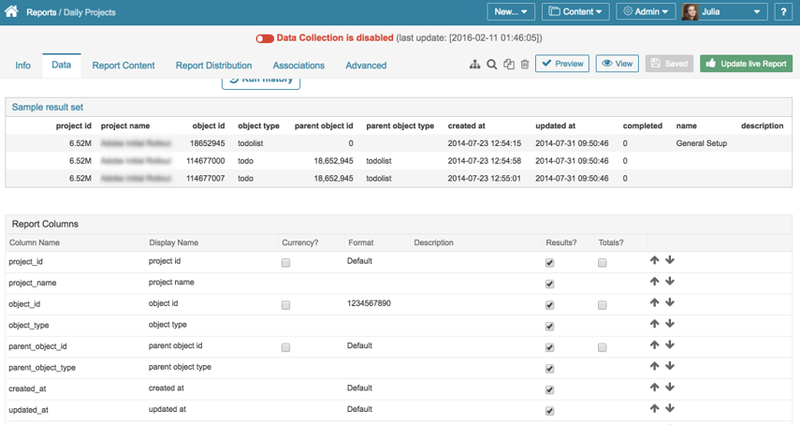 If the command is validated successfully, the Sample Results set and Report columns are going to be shown below.